India is being served with the most powerful batting in the cricket world which took them to the skies in all formats of the game. They are the current One Day International champions, ruled the world in the Test cricket prior to their trip of England early this summer and lifted the first ever ICC World Twenty20 title on September 24, 2007. Their greats batting heroes like Sachin Tendulkar, VVS Laxman, Rahul Dravid and Virender Sehwag are at the twilight of their career and Yuvraj Singh is fighting with his fitness problems. We will take in to account three youngsters who are performing well at the international level and ready to fill any gap in batting, along with their career. He was born on November 5, 1988, in Delhi, a right-hand batsman and right-arm medium fast bowler. He has played for India, India Under-19’s, India Red, Royal Challengers Bangalore and Delhi. Kohli made his debut on August 18, 2008, against Sri Lanka, at Rangiri Dambula International Stadium, in an ODI match. He has played four Tests, scored 191 runs at an average of 27.28, the best of 63 runs with two fifties. The 23-year-old took part in 74 ODIs, scored 2860 runs averaging 46.88 , the best of 118 runs with eight centuries and 18 fifties. He has represented the national side in six T20s, scored 87 runs catching average of 21.75 runs with the highest of 28 runs. Rohit Gurunath Sharma was born on April 30, 1987, in Bansod, Nagpur, Maharashtra, a right-hand batsman and right-arm off spin bowler. He has played for India, India Under-19’s, India Green, Mumbai and Deccan Chargers. He is considered as a limited overs specialist batsman but has potentials to perform in any format of the game. Sharma played his first ODI against Ireland on June 23, 2007, at Civil Service Cricket Club, Stormont, Belfast. He has represented in 72 ODIs, scored 1810 runs at an average of 34.80, the highest of 114 runs comprising two centuries and 11 fifties. The 24-year-old has played 22, T20s, scored 415 runs at a handsome average of 31.92 runs, the best of unbeaten 79 runs with four fifties. Suresh Kumar Raina was born on November 27, 1986, in Muradnagar, Ghaziabad, Uttar Pradesh. Suresh Raina is a left-hand batsman and right-arm off spin bowler. He has played for India, India Under-19’s, Chennai Super Kings, India Blue, Indian Board President’s XI, Uttar Pradesh and Rajasthan Cricket Association President’s XI. He made his debut against Sri Lanka on July 30, 2005, at Rangiri Dambula International Stadium in an ODI. 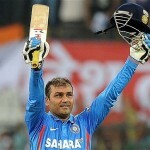 He has played 15 Tests, scored 710 runs having an average of 29.58 runs, the top score of 120 with six fifties. Raina took part in 135 ODIs, scored 3250 runs, averaging 34.94, the best of unbeaten 116 runs with three hundreds and 20 fifties. 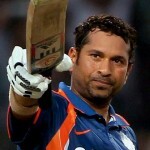 The 25-year-old has played 22 T20’s, scored 583 runs at an average of 32.38, the highest of 101 runs with three fifties. The above three batsmen have proved their worth in the international cricket while being groomed under the wings of top guns. India should be proud of the youngsters who will not let them down for a long period to come.